The existence of the Alien Office was never a secret. It was established in the early 1790s as a result, in part, of the Police Act of 1792, together with the Alien Act of 1793. On the surface, its purpose was dull and administrative: to register the arrival and departure of aliens (non-British subjects) and their statements of their reasons for coming to the country. When it began, like many such measures, it was explained as a ‘temporary’ wartime expedient. Its continuation was to be only for the duration of war with Revolutionary France. Probably no one at the time envisaged a war that would encompass most of the globe and last, with one brief interruption, for 22 years. What concerns this post, however, is the secret and undeclared part of the Alien Office’s activities. It seems most government ministers – perhaps even Pitt, the prime minister – were kept in the dark about the extra uses being made of its files and activities. In many ways, The Alien Office seems to have functioned like today’s Secret Intelligence Service. It used spies and informers, collected intercepted messages, and acted both at home and abroad to keep the appropriate persons aware of what conspiracies and plots might be hatching to damage Britain’s interests. This blandly-titled office, with its dull administrative role, became the perfect ‘cover story’ for what grew into a comprehensive set of activities designed to recruit and manage agents, collect and collate intelligence and sponsor agents provocateurs spreading misinformation and dissent in France itself. Under the same Police Act, stipendiary magistrates were established in office for the first time. Where almost all magistrates before this had been local gentry, unpaid and untrained, stipendiary magistrates were (mostly) lawyers or barristers and were paid for their work. They were also given a small force of constables to act as their eyes and ears. Using the local squire, doctor or even clergyman as the local representative of the law may have worked for cases of poaching, vagrancy or petty theft. It was clearly inadequate to deal with French spies, radicals intent on revolution, or Irish agents trying to stir up their country to rebel. Each stipendiary magistrate was attached to a police district and would quickly establish their own networks of informers and agents to watch ‘persons of interest’ and infiltrate suspicious groups. This was how the London Corresponding Society, a group of radical republicans and revolutionary hopefuls, was shut down by William Wickham and its leaders arrested for treason. Like today’s Special Branch, the stipendiary magistrates and their constables concerned themselves primarily with organisations, individuals or means of communication that were thought to be conduits for the spread of seditious or dangerously radical ideas – dangerous to the ruling elite, that is. As the nearest that period had to a proper police force, they could go beyond passive collection of information and use subterfuge, coercive measures and outright force as needed. And if things grew to a size where a few constables might be overwhelmed, they could call out the yeomanry. Volunteer yeomanry regiments were almost entirely composed of the gentry and their tenant farmers – you had to provide your own horse and uniform, thus ruling out most other people – so they could be relied upon to defend the interests of their own class under the guise of re-establishing law and order. In 1794, the new Home Secretary further reviewed and strengthened the system, appointing William Wickham as Superintendent of Aliens. Wickham was later to become more famous as the British Resident in Switzerland and spymaster for Europe. In some ways, his work at the Alien Office may have been even more important, though it is often overlooked. In a fine cast of ‘the biter bit’, he used much of the best French practice under Louis XVI as a model, adding to the office’s clerical staff and increasing its ability to respond swiftly by keeping at least one constable always in waiting for orders. He also separated the routine and administrative aspects of its work from the secret service element. Overseas, Wickham established proper networks of secret agents, referred to by the bland name of ‘correspondences’, in a number of key European centres, including the Channel Islands, Cherbourg, Lyons and Paris, as well as Switzerland and the Low Countries. Indeed, he quickly found that the French in particular were quite easy to bribe. This seems to have become one of his primary means of gaining information throughout his periods in office. He was also able to use British gold to stir up pro-Royalist factions and local insurrections. In this, he was greatly helped by the unwavering support for French loyalists and counter-revolutionary plots provided by William Windham, Secretary at War. How much of this depended on liberal supplies of bribes can be seen by the steadily rising costs, from around £25,000 per year at the start to £150,000 in 1795. As with so much else at the time, the British spying effort was fragmented between various agencies, all of which were totally independent of one another, as well as including ‘free-lance’ activities by local commanders such as Sir Sidney Smith (notably successful) and even Admiral Nelson. The Admiralty had its own secret intelligence operations, lead by Evan Nepean. They used local spies, but also collected information from naval officers and merchant ship captains about sightings of enemy vessels and numbers laid up in port. 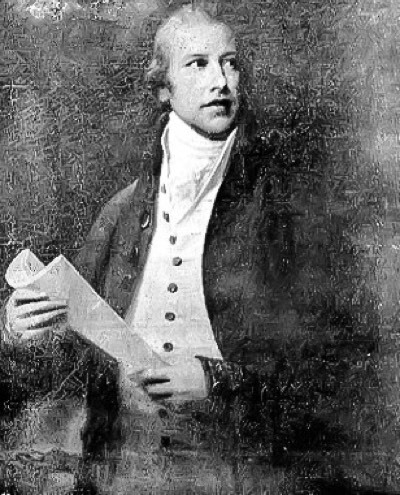 Even William Pitt had his own private spy network. How far these various groups co-operated is hard to tell. By their very nature, spies and spymasters are extremely reticent about their actions. Nor is it clear how much their activities overlapped. However, corroboration of information from several, independent sources is fundamental to good intelligence, so some of this apparent duplication may have proved beneficial in practice. What seems to be the case is the influential individuals like Wickham and Nepean managed to tap many different sources as well as those under their direct authority. The Alien Office also kept abundant secret registers which might themselves yield valuable data. Parliament, always vigilant for its own interests as guardian of the national purse strings, tried several times to obtain better information on what was being spent and for what purpose. What blocked their efforts was the antiquated system of public finance still in place. Much of the spying effort was financed through the king’s Privy Purse, which was exempt from parliamentary scrutiny save in its total amount. Other elements were paid for via money allocated for military expenditure and left at the discretion of local commanders to distribute in detail. It’s also worth remembering that all this was happening at a time of near-global warfare against the French. Cutting ‘defence’ expenditure in wartime is never going to be a popular option. Besides, many of those who might have argued most cogently for a brake on government ‘oppression’ of dissident ideas had already been picked up and safely locked away. Another re-organisation of the Alien Office and its resources was brought about under a new Alien Act in 1798. Wickham had already been recalled from Switzerland, as a result of French diplomatic pressure on the Swiss authorities, and had resumed his position as Superintendent of Aliens, to which had been added the post of Under-Secretary at the Home Office. Now three Superintendent were appointed and the system of monitoring aliens quietly strengthened. It also seems likely that certain of the constables under central control were re-organised into something like today’s Special Branch of the police, and put under the command of a Mr. Charles Flint. Certainly the funding and staff numbers for the Alien Office rapidly increased, despite parliamentary efforts to curb them, as did unspecified payments of large sums made under Wickham’s authority. These may have been to support increased security activities in Ireland, which was giving trouble at the time. The short-lived Peace of Amiens brought a temporary cessation of all these activities and arrangements in 1802, though the dependence of the Alien Office for a state or war for its existence was ended by act of parliament in that same year. However, no one expected peace to hold and the respite seems to have been used to put fresh plans into place, particularly as regards overseas intelligence. Thus, when war broke out again in 1803, the whole apparatus was swiftly revived. Within Britain, there seems little doubt that this precursor of MI5 and Special Branch was of great help in fending off revolution and maintaining the monarchy in place. Overseas, its actions were more variable. It certainly managed to destabilise the Republican and then Napoleonic regimes to a significant extent. It also kept pro-Royalist ideas and groupings alive, as can be seen by the number of local insurrections which took place. However, all of this proved unsuccessful and resulted in much loss of blood in France. Continue it did, to the end of war against Napoleon in 1815 and beyond. The early 19th century, like the 18th, was a period of constant upheavals and civil discord, culminating in the Chartists, the rural violence of Captain Swing and, ultimately, the surrender of some at least of the elite’s powers via the Reform Act. Throughout its existence, the intelligence system organised around the Alien Office both survived and grew, adapting constantly to the changing political and military situation. I find it odd, therefore, that so many writers seem to assume that British Intelligence was almost entirely the child of the First World War. While subterfuge and spying may always have been seen as un-British and un-sporting by a some of the gentry, the fact remains that we have been both active and highly successful in the field since the time of Elizabeth I – if with a few gaps and mis-starts. We seem, as a people, almost to have a natural gift for subterfuge and a delight in secret activities. Today, other nations undoubtedly spend far more on espionage that Britain, and have far larger stables of spies and their technological gadgetry. Yet we seem to hold our own and more when it comes to effectiveness with what we have. Perhaps James Bond is even more the stereotypical British gentleman-spy than we thought! Deacon, R., 1980. A History of the British Secret Service, London: Granada. Funnell, W.N., 2010. On His Majesty’s Secret Service: Accounting for the Secret Service in a Time of National Peril, 1782-1806. Accounting Historians Journal, 37(1), pp.29-52. Maffeo, S., 2000. Most Secret and Confidential – Intelligence in the Age of Nelson, London: Chatham Publishing. Sparrow, E. (1992) ‘The Swiss and Swabian Agencies, 1795-1801’, The Historical Journal, 35(4), pp. 861-884. Sparrow, E. (1990) ‘The Alien Office, 1792-1806’, The Historical Journal, 33(2), pp. 361-384. Sparrow, E., 1998. Secret Service under Pitt’s Administrations, 1792-1806. History, 83(270), pp.280-294. This entry was posted in Keeping the Peace, Secret Service. Bookmark the permalink. 2 Responses to What was the Alien Office? Some new sources for my work in progress. French émigrés invested in loans to the Prince of Wales and his brothers, and the Aliens Office allegedly kept tabs on those who asked for their money back. I expect they kept tabs on them all, just in case! Xenophobic civil servants, you understand.